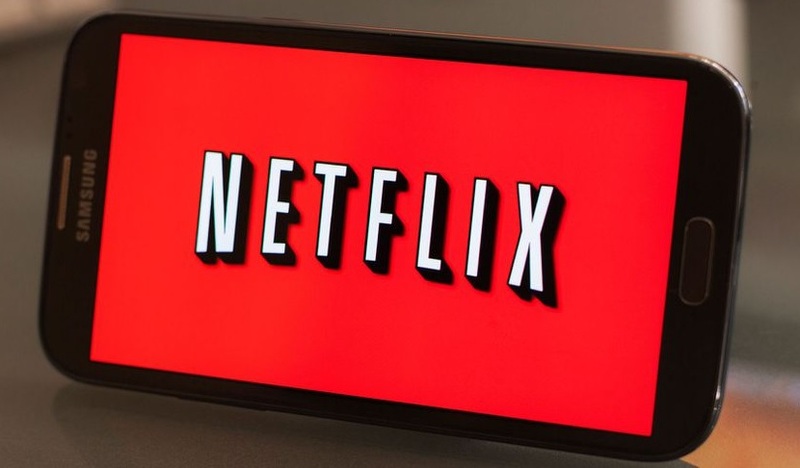 Netflix was established for the sole purpose of subsidizing the extended costs that movie renters incurred after passing their due dates for movie and DVD returns. Established in 1997, its core business was to rent DVDs to individuals using the internet through home deliveries. However, as time has passed by, the company has shifted its core business to online streaming due to the increase in the usage of the internet. However, DVD rental, which is referred to as DVD by mail, is still among its business market together with other markets such as video on demand services. With the popularity of the internet, streaming media has been the core business for Netflix. It offers streaming services to over 86 subscribers within and outside the United States. It allows users to stream movies and TV show episodes at their convenience. 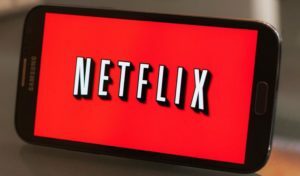 Netflix rents out DVDs through the internet and distributes them to consumers using the strategically placed distribution centers across the country. This was the core business of the company when it began, and it has grown to be a very significant aspect of Netflix. Video on Demand, which involves the streaming of videos and audios whenever one feels like to unlike having to watch according to the program lineup. This aspect is a recent venture by Netflix and seemingly, it is also gaining popularity and its market expanding. Netflix was among the very first DVD and movie rental companies to take advantage of the internet era. This gave the company enough time to blend in and create a sustainable market for its self. Diversifying into other innovative markets such as the video on Demand and the streaming media markets. This enabled it to expand its markets and create its potential for making more money. The company was established in 1997, by Reed Hastings, after he was overcharged for returning the Apollo 13 movie later than he was supposed to (Toledo). The home delivery system for DVD rentals gives the company an advantage over most of other companies in the same business, giving it a competitive advantage in the market. It has strategic distribution centers all over the country that allow the company to deliver rented DVDs to customers within the shortest time possible. As a matter of fact, around 92% of the rentals that are done in a day, are delivered to the customers. Its delivery system is a spectacular aspect that has made its market increase a tenth fold ever since its inception. It has an attractive User Interface system and also its search recommendation system referred to as Cinematch which makes it easy for subscribers and account holder to browse through their favorite movies with ease. The Cinematch system is very effective that the company only has 50 employees in its customer service front and only 10 out of the 50 are allowed to make calls to customers who may have a complaint on various aspects. The system makes it easier for customers to find movies. Other outstanding features that may be attractive to customers and have been increasing its market as the day pass by are the two distinctive features that were added to the Netflix accounts. They added the ability for one account to have multiple favorite lists that allow various family members who use one Netflix account to have a variety of favorite lists and addition of the community option known as ‘Friends’ that allows users to share their favorite lists among other features such as ratings and preferences with friends. Netflix is currently worth more than $700 million in sales with an approximate of 86 million subscribers worldwide. The majority of its subscribers being from the United States of America. Its expansion move to other countries was also a strategic move, starting with Canada in 2010, and to over 160 other countries of January of 2016. Its market increased proportionally with every expansion to the various countries it expanded to (“The Brain behind Netflix”). Diversification and readiness to embrace technology have always been a strong suit of the company. The addition of High-definition DVD rentals to its current market will increase its sales and customer base much more. It has also ventured into the TV and film industry by releasing TV-Shows under the market-brand ‘NETFLIX ORIGINAL.’ According to the company’s goals, it aims to release an approximate of 160 TV shows before the year 2016 ends. Netflix has a variety of consumer based products. Starting with DVD rentals, TV-shows, and spin-offs, short series, video on demand and streaming media. Its TV-shows have been acknowledged worldwide, with examples such as Daredevil and the recently released Luke Cage receiving much applauding from the media and also the people who watch them. Netflix has a unique way of delivering the best when it comes to online media and TV shows. It has also been identified for its unique way of releasing episodes for the viewers to watch. Unlike other channels such as CBS, HBO, USA Network among others, that release one episode on a weekly basis until the season is complete, Netflix releases the entire season at once, and this has led people to grow a liking for Netflix products with every release receiving above average ratings. Most of the business that Netflix conducts occurs online. A very effective platform and place for the customers to rent DVDs and stream online. However, the company also has strategic distributors across the country that allow easy and quick delivery of rented DVDs to clients. It strives to speedy and efficient services through the strategic positioning of its various branches. When it comes to promotion, Netflix does a very spectacular job to promote the market for upcoming products such as New TV shows or a new streaming service available on its website. With the help of online streaming and also on some of the TV-shows that show on its network, the company can advertise and promote new products to ensure maximum sales and profits. Subscription to Netflix channel is done on a monthly basis. The prices are pocket-friendly and very considerate. Basing on the initial purpose the company was built upon, to subsidize rental costs for consumers, it has friendly rates as compared to other companies that offer the same services (“A Brief History of Netflix”). For a standard user, it only cost $7.99 for one screen on a monthly basis. The price of the Blu-Ray version of their TV shows may differ depending on the TV show on sale and also the number of episodes in a single season of the TV show. In the United States of America, Netflix is considered the number one leader when it comes to online video streaming. It mainly focuses on the satisfaction of its clients, the ubiquity of the devices and dedication to excellence. The properties stated see to it that Netflix has become the consumer’s choice when it comes to video streaming. In the aim of meeting and reaching a broader audience, the company will have to continue its trend of being innovative and delivering better and more content to help it gain a competitive advantage over its competitors. “A Brief History of Netflix”. CNN. N.P., 2016. Web. 11 Nov. 2016. “The Brain behind Netflix”. Cbsnews.com. N.P., 2016. Web. 11 Nov. 2016. Toledo, Rob. “The Idea For Netflix Came From $40 In Late Fees On An ‘Apollo 13’ Rental”. Exstreamist.com. N.P., 2016. Web. 11 Nov. 2016.